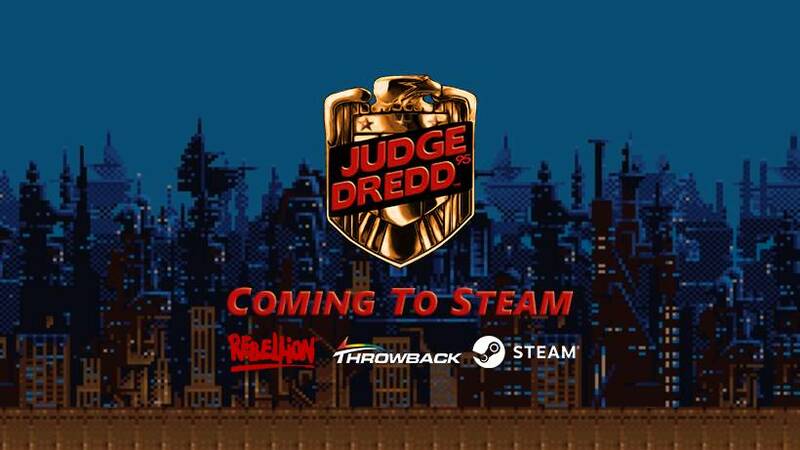 Home / Entertainment / gaming / Steam / Throwback Entertainment Announces “Judge Dredd 95”, Now on Steam! Throwback Entertainment Announces “Judge Dredd 95”, Now on Steam! Welcome to the 22nd century! Throwback Entertainment in conjunction with Rebellion Entertainment announce that Judge Dredd 95 will be available to all Steam users starting today. This is the first title of a two title agreement between Rebellion Entertainment and Throwback Entertainment. Originally released for PC, Super Nintendo, and the Sega Genesis, this classic platformer will have people fighting there way through an action-packed metropolis known as Mega-City-One. All citizens now live in densely populated urban areas. The government has done away with all police officers and lawyers, leaving only a select group of Judges to enforce the law upon Mega-City-One. Judge Dredd is tasked with taking down Judge Rico and to ruin his plans of destroying Mega-City-One. Take to the streets to arrest and sentence criminals in this action-packed shoot-em-up, platformer. Linux support for Judge Dredd 95 will become available in the next coming days, with support for Mac users following shortly after. Judge Dredd 95 is available on Steam starting today with a 15% launch discount until May 29th. This titles suggested retail price is $7.99 USD. Judge Dredd 95 is rated T for Teen.